The program helps people recovering from this devastating hurricane season. 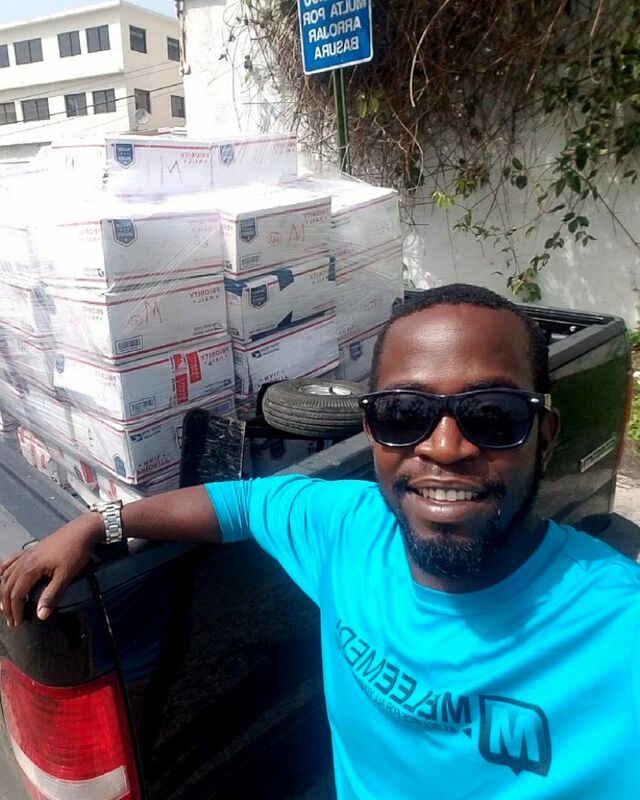 Two strangers who met on social media joined forces to create a program that is now sending thousands of packages of much-needed supplies to hurricane victims in the U.S. Virgin Islands and Puerto Rico. Pam Engle and Sabrina Jureidini first met online in the aftermath of the destruction wrought by devastating hurricanes this fall. Today the founders of a new care organization, Adopt-a-Family, met for the first time in person on "Good Morning America," where they shared how a chance post on Facebook led to the formation of their group that has already sent supplies to thousands of families. Engle recalled how in the middle of the night she came across a post by Jureidini. "I was just sick and I said, 'We have to do something,'" Engle said. She recalled thinking, "'If we can get 20 or 30 families covered that would be great.'" But now just weeks later their fledgling organization has sent supplies to more than 26,000 families. 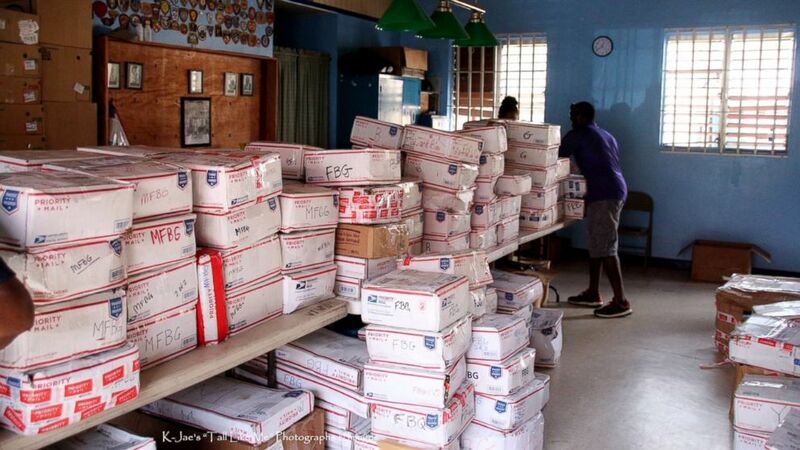 (Adopt a Family) Boxes shipped to the U.S. Virgin Islands through the Adopt a Family organization. Adopt-a-Family is a volunteer organization that collects and ships supplies from donors on the mainland who each receive a wish list from a particular family in the U.S. Virgin Islands or Puerto Rico. "Everything we have been able to accomplish has been because of the support of our adopters and it's just been everybody getting the word out there, bringing awareness to the island and the need that's down there," Engle said. "We really think that they're making a difference, and it's that personal connection that really makes this unique." Engle said she had worked as head of fundraising at a school in St. Thomas in the U.S. Virgin Islands but lost her job and her home due to the hurricanes. She has since moved with her young children to the Philadelphia area. Jureidini and her husband, who also have children, lived in St. Thomas until 2014 and now live in Virginia. The couple still goes often to the U.S. Virgin Islands for their work for a resort there. Adopt-a-Family has a staff of 14 volunteers who have all been personally affected by the hurricanes this year. One man helping with the distribution of supplies sent by the organization is Vernon Araujo, development director at the Family Resource Center in the Virgin Islands. He said people receiving the supplies such as toothpaste, canned goods, bug spray and diapers are stunned by the generosity. (Vernon Araujo) Vernon Araujo, the Director of Development at the Family Resource Center in the Virgin Islands, has helped distribute thousands of boxes. "They are so just relieved to have that little box, little care package to get them through the week," he explained. "It's huge. Especially the kids and the elderly, these are two groups that we forget about in times of great need." The packages also includes notes of encouragement from the donors. Jureidini agreed. "It’s such a morale booster to get these boxes and see these notes," she said. "Even if they can't use something that’s in there they can find somebody who does. Just to know they're not forgotten." American Red Cross: Help people affected by disasters like storms and countless other crises. Visit Redcross.org/abc, call 1-800-RED CROSS or text the word REDCROSS to 90999 to make a $10 donation. Feeding America: The nation's largest domestic hunger-relief charity provides support, food and supplies to people impacted by the recent natural disasters, serving all 50 states, the District of Columbia and Puerto Rico. Visit FeedingAmerica.org/ABCAdopt a Family, USVI:Adopt a Family, USVI pairs those who wish to help with families in need who were impacted by Hurricanes Irma and Maria in the U.S. Virgin Islands.